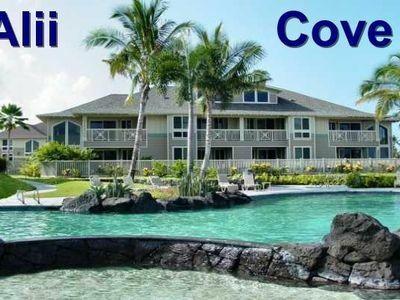 Keauhou-Kona Surf and Racquet Club is renowned as the most beautiful gated communities along Alii Drive. 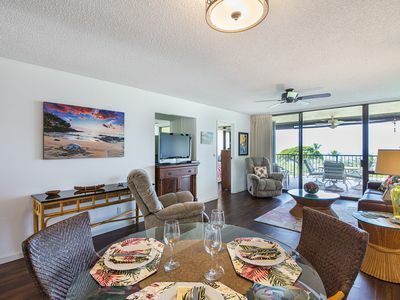 Your lovely 2 bedroom, 2 bath home has nearly 1200 square feet of living space, situated on the second floor for added security. Parking is right outside your unit. 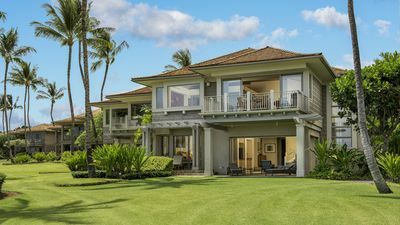 The private wraparound lanai, exclusive to corner units, offers a bright, airy view of a Golf Course fairway. 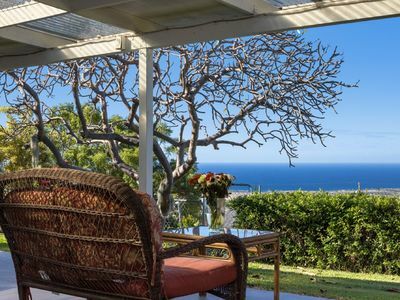 At sunset, Hawaiian songbirds serenade you from the giant banyan tree beside your apartment. 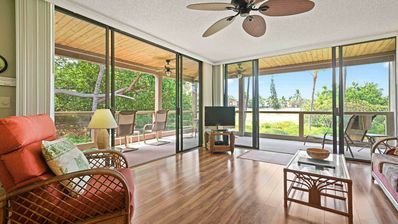 When needed, ceiling fans throughout compliment the tradewinds. 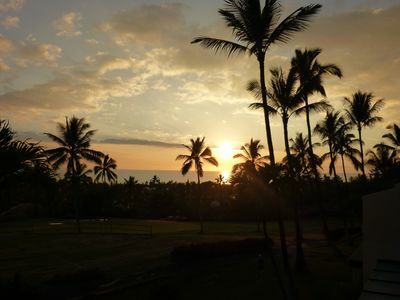 Nightly oceanfront sunset views are a 2 minute walk along a well-paved illuminated path. 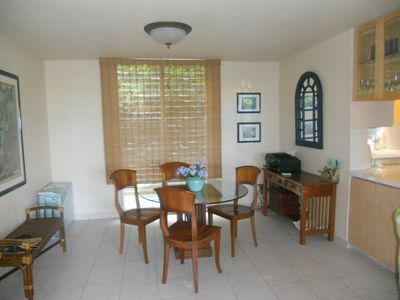 This second-floor unit has beautiful hardwood floors; the living room is comfortably furnished with flat screen TV. 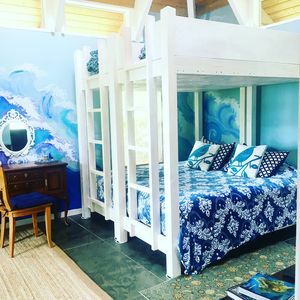 The master bedroom has a King Cal sized bed with the newest cool technology 3" memory foam topper; the guest bedroom is decorated with one queen and one twin bed. 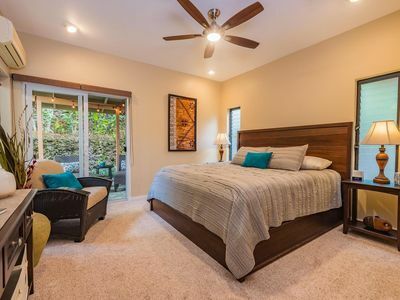 Both bedrooms are large and breezy, with lots of closet space. A sofa sleeper bed is also available. 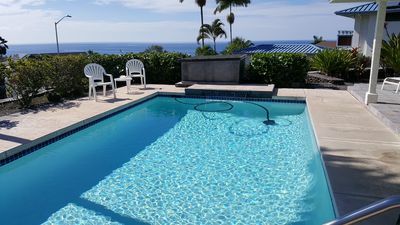 A full size washer and dryer is yours; beach towels and toys are provided. 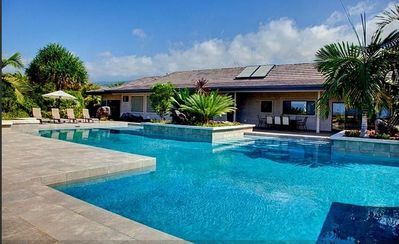 The freshly renovated, hotel-sized swimming pool is large enough for lap swimming and plenty of toddler space for splashing. Three illuminated tennis courts are available to you with a tennis instructor on-site by appointment. 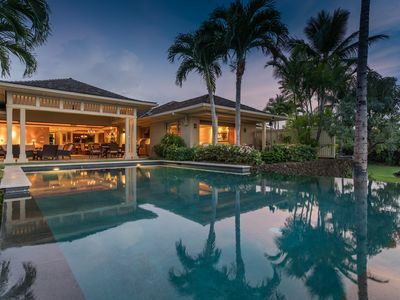 Two outdoor pavilions are equipped with gas and charcoal grills, seating for dining, even a volleyball court. 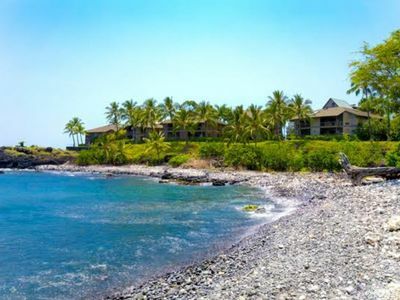 The best snorkeling spot, Kahalu'u Beach Park, is a block away with surfing and paddling lessons available. 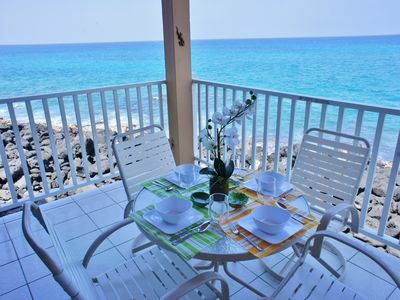 Nearby is beautiful Keauhou Harbor, a short walking distance. 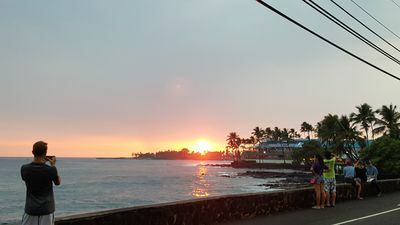 A free Keauhou-Kona trolley will take you into town. 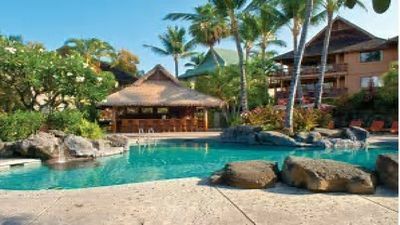 The oceanfront Keauhou Surf &amp; Racquet Club, famous for its 17 acres of lush tropical landscaping, is 4.5 miles from downtown Kailua-Kona and 12 miles from Kona Airport. 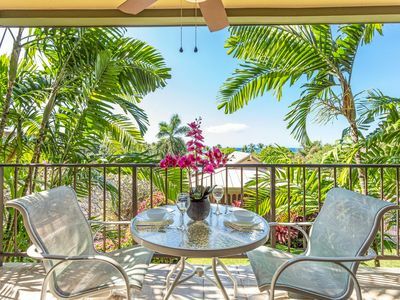 Keauhou Shopping Center, a short walk from your condo, offers a full grocery store, CVS Pharmacy, several casual dining/brew pubs, movie theater, plus free weekly Hawaiian cultural events and an Organic Farmer's Market on Saturday. WOW! Take a look at our remodel! 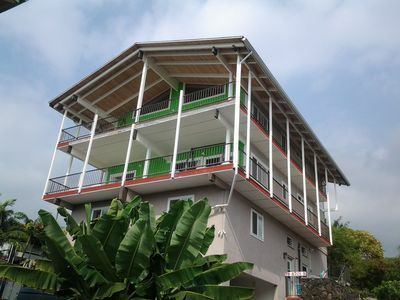 Spacious Villa with perfect location along 15th Fairway! 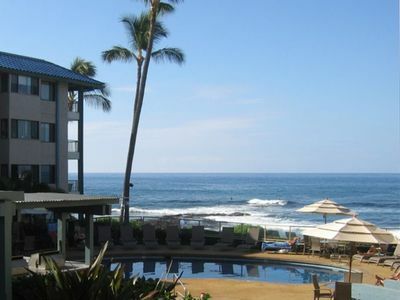 Hidden Paradise Found with Aloha Spirit and Great Rates! 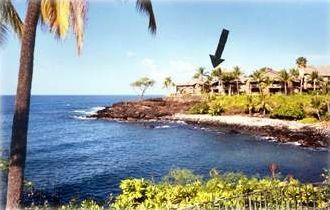 Beautiful 5 br for 10 oceanfront Kona villa!